For many years, the scientific community accepted only those bird observations that could be substantiated by collected specimens. With the advancements in photographic equipment and technology, the criteria for rare bird documentation have been broadened beyond specimen records. Birders now make significant contributions to our knowledge of extralimital records, vagrancy patterns, and other aspects of bird distribution through their field observations. The supporting details for these observations, however, can vary considerably in quality. Rare Bird Committees have been established in most states to develop documentation standards and a formal process to evaluate rare bird records. The primary purpose of the WSO Records Committee is to evaluate records of birds found in the state of Wisconsin, including rare species, rare nesting records, or unusual seasonal occurrences. A record is comprised of written documentation or other evidence submitted to the committee as proof of identity of a sighted, heard, collected, banded or photographed bird. The committee then determines whether there is sufficient documentation to accept the record. Once validated, these records constitute the official list of Wisconsin bird species and provide an important permanent record by which to measure changes in the state’s avifauna. These data are made public through WSO’s quarterly journal and archived in the WSO’s files. For a more thorough explanation of the rare bird record validation and the WSO reporting system, please read WSO Unveils New Rare-Bird Review Policy. 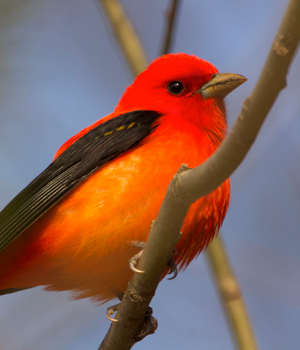 Evaluate records of birds found in the State of Wisconsin. Maintain permanently the original bird records and all Committee votes and comments for use by future students. Provide a means by which sight records can gain universal acceptance as valuable scientific data. Establish standards of observation and reporting against which field observers may compare their own techniques. Keep or cause to keep the official Wisconsin State List. Wisconsin’s Bird Records Committee was established in 1978 and is a standing committee of the Wisconsin Society for Ornithology. The WSO Records Committee is comprised of five members, each of whom serve a 5-year term. A Chairperson is appointed by the committee to oversee and manage record submission, voting procedures, and the compilation and publication of results. Members may be elected to serve consecutive full terms by the committee. Anyone is eligible to become a records committee member if, in the estimation of the existing committee, that person has demonstrated an expert ability in and knowledge of field identification of birds and is a member in good standing of WSO. Meet our Records Committee Members. WSO and eBird are entwined in many ways. Seasonal reports published in the The Passenger Pigeon primarily use eBird data. The WSO Records Committee also reviews all rare and out of season records submitted via eBird. As of 2018, any documentation (text, images, etc.) provided by birders in eBird for an observation requiring WSO Records Committee review immediately qualify as documentation for WSO. Observers may submit separate documentation for WSO using the Rare Bird Documentation Form if they prefer not to use eBird. The WSO Records Committee regularly revises its list of species requiring review and modifies the forms for documenting rare birds. After sighting a rare bird, please consult the Review List to see if the bird in question is considered a rare species in the state. If you believe that you have seen a bird out of season, please consult the WSO Arrival and Departure Dates document. As of 2018 the preferred method for documenting rare and out of season species is with eBird (eBird.org). As the saying goes, "Extraordinary claims require extraordinary evidence.” For rare and out of season species in particular, make sure your comments are thorough—taking special care to explain how similar species were ruled out. For the foreseeable future, the online Rare Bird Documentation Form will continue to be available. Copies of this form will be sent to the WSO Records Committee members for review. All records for a season are reviewed and voted upon. Results of the review and vote are published in WSO's quarterly journal. WSO Review List - indicates rare species that have occurred in Wisconsin but require documentation for acceptance into the state records. WSO Arrival and Departure Dates - indicates the earliest arrival and latest departure dates for bird species occurring in Wisconsin. Checklist of Wisconsin Birds - contains all of the 437 valid species on the Wisconsin state list. WSO Rare Bird Documentation Form - eBird is the preferred method to submit Rare Bird Documentation. If you prefer NOT to use eBird, then use this form to document all species on the WSO Review List, any species not listed in the Checklist of Wisconsin Birds, or any species determined to be seasonally rare. To determine whether a species is seasonally rare, review the WSO Arrival and Departure Date document and check the “Finds between” time period for each species (indicated in red). Wisconsin Rare Bird Records - provides a detailed summary of all accepted records for the Wisconsin Review List species.